Listening to Pain - Description | W. W. Norton & Company Ltd. In this impassioned and hopeful book, David Biro reveals how to break through the silent wall of suffering—physical and psychological—that all too often accompanies pain and illness. 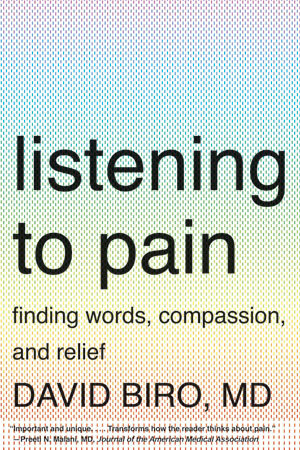 Drawing together compelling stories from patients and insights from some of our greatest thinkers, writers, and artists, Listening to Pain eloquently demonstrates how lan- guage can alleviate the loneliness of pain, paving the way for empathy and effective treatment. Originally published in hardcover under the title The Language of Pain.